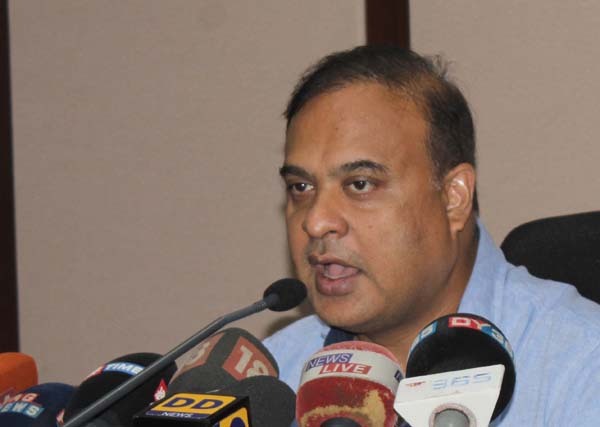 The All Assam Students’ Union (AASU), Dhemaji district unit has asked Assam’s Minister for Health & Family Welfare, PWD and Finance Dr Himanta Biswa Srama not to make any provocative comment during his Dhemaji visit scheduled for Thursday. Minister Himanta is arriving at Dhemaji to participate in Medam Mefi festival celebration on Thursday. The AASU district unit in a press release alleged that Minister Sarma was accustomed to make provocative comments with intent to ruin the ongoing democratic movements against the controversial Citizenship (Amendment) Bill, 2016 in the state. Terming the minister as ‘fascist’ in nature, the student bodies’ leaders opined that the minister and other BJP leaders in the state would face hostile political situation in the next elections. The AASU has hanged effigy of Himanta Biswa Sarma at Dhemaji town and several other locations. The AASU on Monday staged dharna at Dhemaji protesting the alleged assault on its members by Bharatiya Janata Party (BJP) goons at Nalbari on January 27 last. It may be recalled that AASU members on January 27 waved black flags at BJP bigwigs in Nalbari district of Assam while staging protests against the contentious Citizenship (Amendment) Bill, 2016. The student leaders have lamented that BJP goons disrespected the AASU’s flag and physically assaulted union members inside the police station.